"In love, as in life, destiny is always waiting in the wings"
Set in the English city of Liverpool in the 1960s, this coming of age dram details the life of aspiring actress Stella Bradshaw after she joins a low rent theater company for a series of productions. Stella is initially refused entry to the cast of the play after she fails her audition, theater director Potter takes pity on her and gives her a behind the scenes role. Working through a series of plays the company eventually arrive at a production of Peter Pan that brings out all the problems and darkness they feel about their own relationships and friendships. 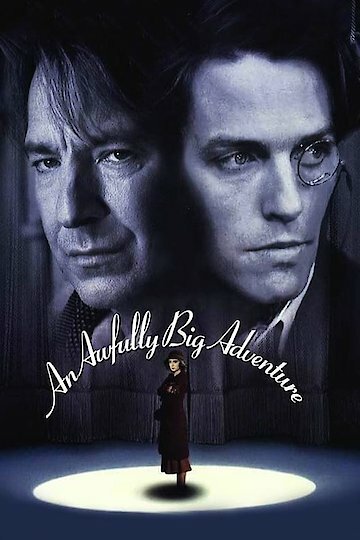 An Awfully Big Adventure is currently available to watch free on Vudu Free and stream, download, buy on demand at Amazon, Vudu, Google Play, iTunes, YouTube VOD online.